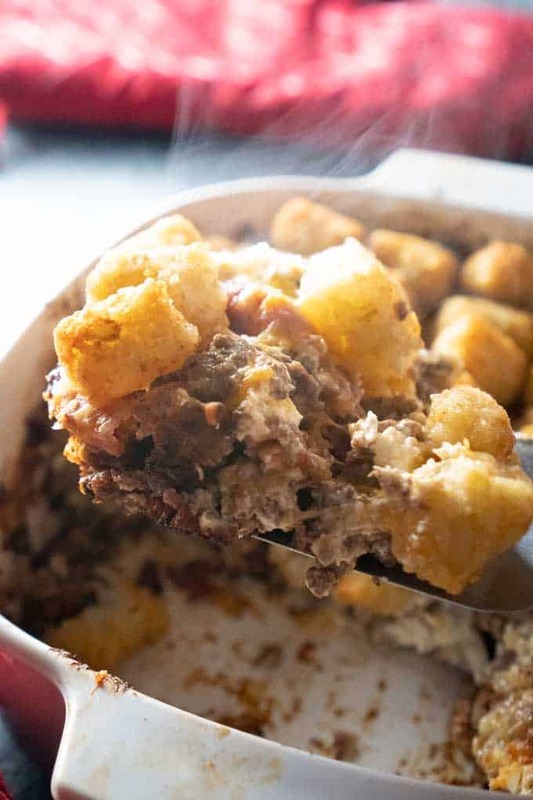 This hearty Bacon Cheeseburger Easy Tater Tot Casserole is a delicious comfort food recipe the entire family will love! I’ve been in a massive comfort food mood lately. Probably because the temperatures have dipped into the 40s, which here in south Georgia definitely qualifies as winter weather! 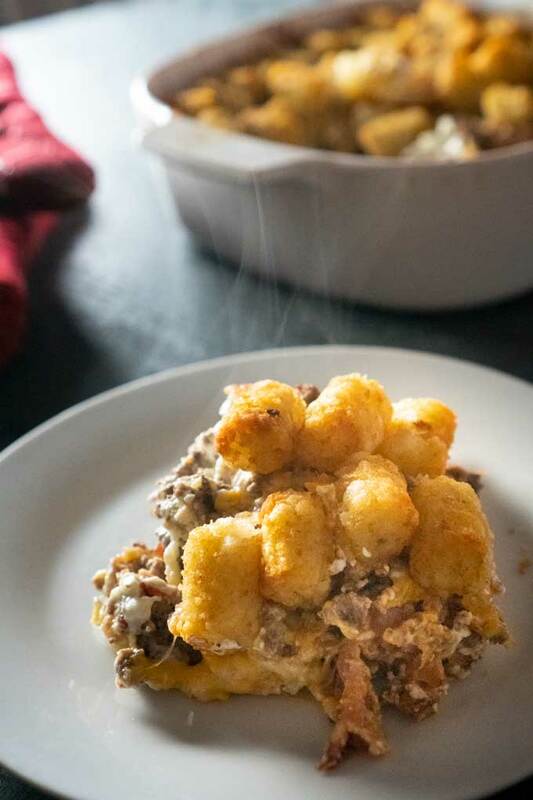 Earlier this week I made this Bacon Cheeseburger Tater Tot Casserole and realized I had never posted the recipe here on the blog. 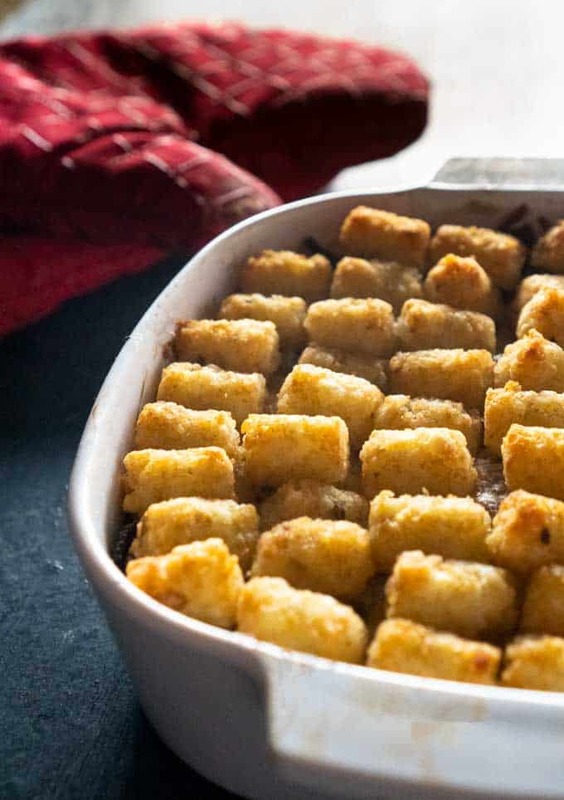 If you’re looking for an easy Tater Tot Casserole recipe that the entire family will love, this one’s for you! 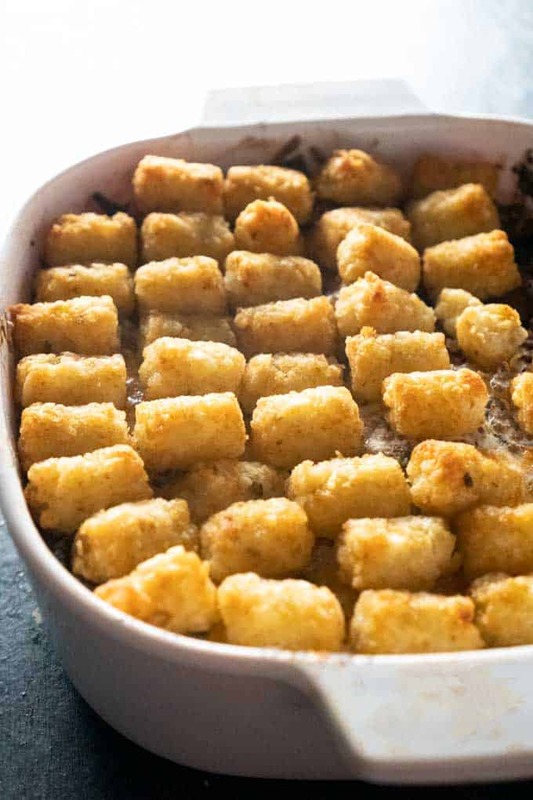 I love this Tater Tot Casserole recipe for a few reasons. First, it is very easy to prep and pop in the oven. I don’t know about your house but around dinner time things seem to get chaotic here, so getting this ready, in the oven, and freeing up that hour before dinner is a big bonus for me. Secondly, my kids LOVE this recipe, my oldest is almost twelve and he spends the entire dinnertime telling me just how good it is, every bite gets me another compliment…its good for the ego! Tater Tot Casserole is just one of those easy dinners that proves to be a winner every single time. I like to serve it with green beans or peas to add a veggie and boom, dinner is served! 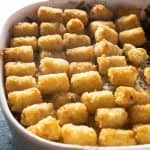 This Tater Tot Casserole recipe does not use cream of mushroom soup or sour cream, instead we’ve given this a Bacon Cheeseburger twist with the addition of bacon and both cheddar cheese and cream cheese. This hearty Bacon Cheeseburger Tater Tot Casserole is the perfect comfort food recipe the entire family will love! In a large skillet, cook bacon until golden brown. Drain and chop into 1-inch pieces. Set aside. Brown ground beef and drain. Reduce heat to low. Return beef to pan and add garlic and Worcestershire sauce. Cook for 3-4 minutes. Return bacon to pan and add cream cheese and shredded cheese, stirring until cheese is blended. Pour mixture into a 9 by 9 inch baking dish. Top casserole with tater tots. Bake for 40-50 minutes or until tater tots are golden brown.